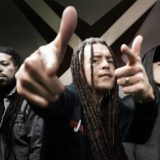 Nonpoint have added some tour dates to their spring schedule. It was previously announced that they would embark on a co-headlining run with Butcher Babies dubbed the Kings & Queens Tour. Cane Hill and Sumo Cyco will be supporting on the majority of these dates as well.